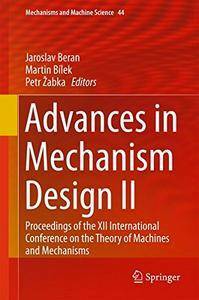 This book presents the most recent advances in the research of machines and mechanisms. It collects 54 reviewed papers presented at the XII International Conference on the Theory of Machines and mechanisms (TMM 2016) held in Liberec, Czech Republic, September 6-8, 2016. 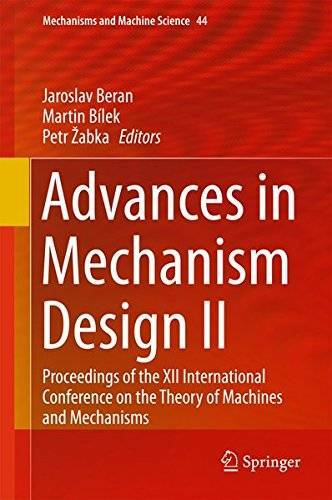 This volume offers an international selection of the most important new results and developments, grouped in six different parts, representing a well-balanced overview, and spanning the general theory of machines and mechanisms, through analysis and synthesis of planar and spatial mechanisms, linkages and cams, robots and manipulators, dynamics of machines and mechanisms, rotor dynamics, computational mechanics, vibration and noise in machines, optimization of mechanisms and machines, mechanisms of textile machines, mechatronics to the control and monitoring systems of machines. This conference is traditionally organised every four year under the auspices of the international organisation IFToMM and the Czech Society for Mechanics.